In a rapidly changing world and business climate, your leadership team needs to have an eye on the future and the tools to meet its challenges. Magna Leadership Solutions, based in Phoenix, Arizona and serving clients throughout the U.S. and across the globe. We partner with our clients to help them develop a strong team of forward looking leaders at every level to get measurable results. 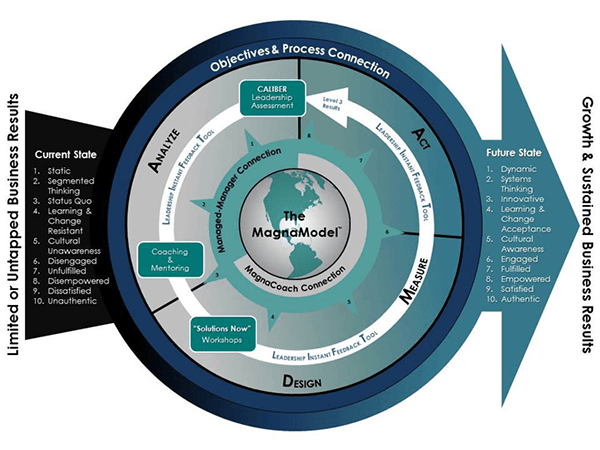 The MagnaModel™ is a 360 degree integrated system of proven Assessments, “Solutions Now” Workshops, Coaching and Mentoring, Consulting and leadership training solutions designed to measurably improve business results. 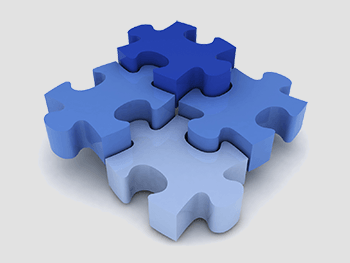 It is designed to stand on its own or act as a template to help integrate customer's existing programs, training and workshops. 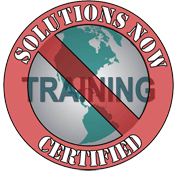 Magna Leadership Solutions is an amazing resource that helped to streamline several areas of my operations. They were instrumental in increasing our productivity through their TQ techniques. Their ability to map behaviors into an operational model that propels the organization forward is invaluable. Magna has stepped into more than one situation where the complexity of our environment needed help; they were not only able to analyze our model but made several recommendations that increased our productivity and employee retention! I have known Kevin and Magna for more than 10 years and I would highly recommend them. As a business partner, the Magna team operates with uncompromising integrity. Speaker Testimonial: Kevin is a motivational speaker. His teaching style should be documented and show to other professors around the world. When you are with Kevin, you are not only learning but you are having fun. I am near my last residency and Kevin is the most influential teacher and person throughout my college career and that says a lot because I am friends with a lot of teachers. When you hear Kevin speak, learn from Kevin, and see how Kevin operates his classroom you will know that your life has changed for the better. Kevin is highly educated, classy, fun to be around, and very informative. Kevin is truly a person no one will forget. For several years we have been using the Task Quotient (TQ) Assessment, designed by Dr. Gazzara. A recent success story involved a discovery using TQ that identified a dissatisfied and misplaced in a service manager who thrived on Project and Routine Work and was demotivated by Trouble-Shooting work. Based on his TQ profile we were able to move him into a sales related position where today he is highly engaged and has excelled for the company. Other assessments allowed us to get the right people for the company, the TQ assessment helped us preserve our investment by properly placing and retaining them. Speaker Testimonial: Kevin is dynamic in both content and delivery. His authenticity is evident, driven by his wealth of experience and research. Practical and transformational! David Waits, Waits Consulting Group, Inc.